If you make cauliflower rice right, it doesn't taste like rice; it tastes like cauliflower. But the consistency is very close to rice, and once you pile on some tasty stir-fry, it's even better than the old rice I used to eat. This method does not require any straining or squeezing through a cheesecloth which makes me super happy. Be sure not to get your skillet too hot or your cauliflower will start to brown or burn! 1. 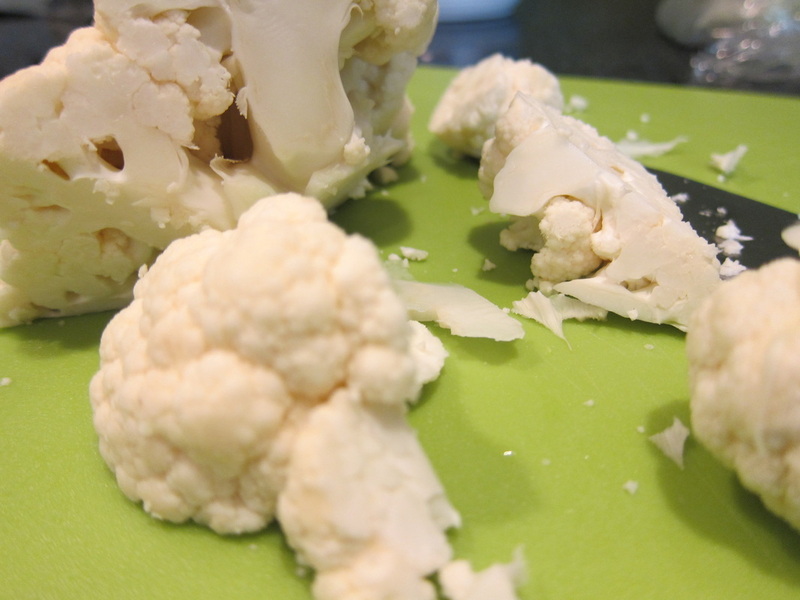 Cut cauliflower into medium-sized pieces. 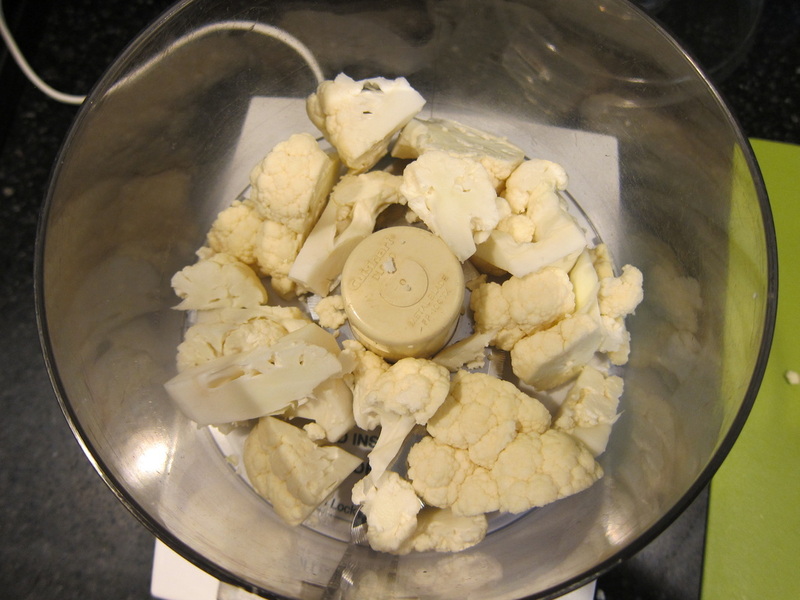 Place one half or one third of the cauliflower into the food processor. Pulse until you reach desired texture. Be careful not to pulse for too long or the cauliflower will become the consistency of couscous -- and I don't mean that in a good way. 2. Put cauliflower into a large skillet. Repeat with remaining cauliflower until all of it has been pulsed and chopped. Add 2-3 TBSP of water to the skillet, cover with a lid and turn heat on to medium-low. 3. Cook, stirring occasionally, until cauliflower is tender, resembling the texture of cooked rice, about 15 minutes.